Twitter has released an update for their Periscope live streaming app and the update brings a new map feature to the app. The new Periscope map feature lets you discover live broadcasts based on locations and you can watch streams from around the world. You can see a list of new features included in the update below. 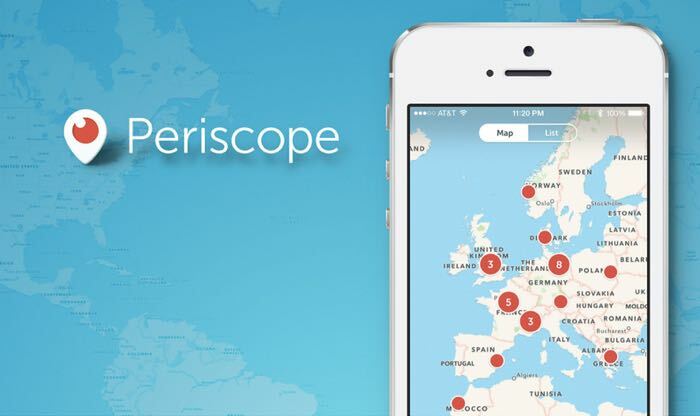 [+] New ‘Map’ section added to Periscope which lets you explore live broadcasts from around the world on a zoomable map. Tap ‘Map’ from the ‘Global’ section to access a live view of top location-enabled broadcasts from around the world. [+] Replays are now instantly available – no need to wait for a replay to upload after broadcasting (you may still delete a replay from the ‘Home’ feed). [+] You can now share the link to a broadcast you’re watching on Twitter. [+] Periscope is now localized in 29 languages: English, Japanese, Spanish, French, Italian, German, Korean, Russian, Turkish, Portuguese, Dutch, Indonesian, Simplified Chinese, Danish, Finnish, Polish, Norwegian, Swedish, Thai, Arabic, Czech, Hebrew, Hindi, Hungarian, Malay, Romanian, Traditional Chinese, Ukrainian, Vietnamese. The latest version of Periscope is now available to download from iTunes, it requires iOS 7.1 and above, you can find more details at the link below.